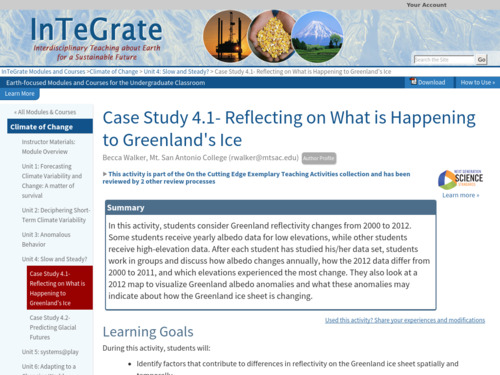 In this activity, students consider Greenland reflectivity changes from 2000 to 2012 and what albedo anomalies may indicate about how the Greenland ice sheet is changing in a case study format. 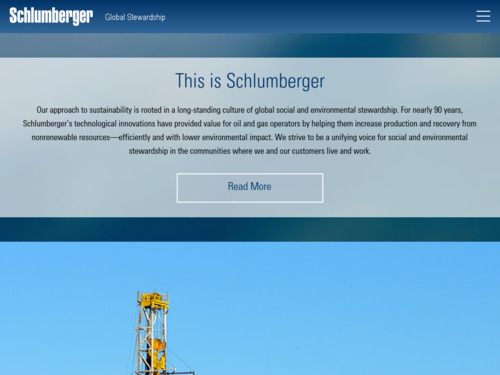 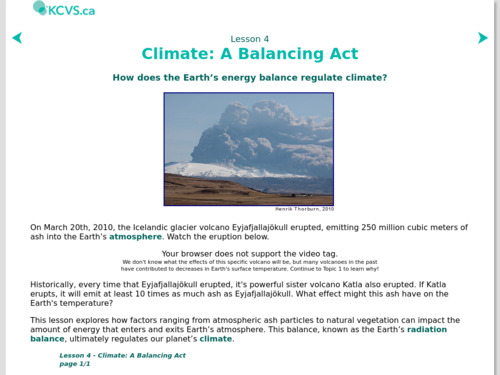 In this activity students learn how Earth's energy balance is regulating climate. 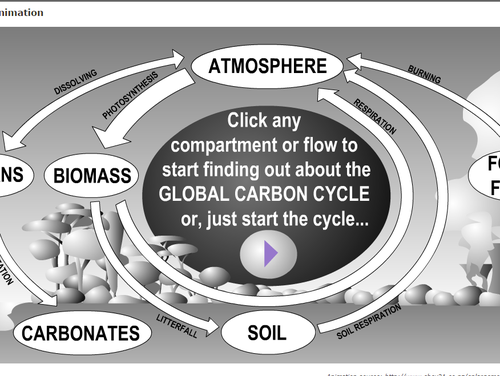 This activity is lesson 4 in the nine-lesson module Visualizing and Understanding the Science of Climate Change. 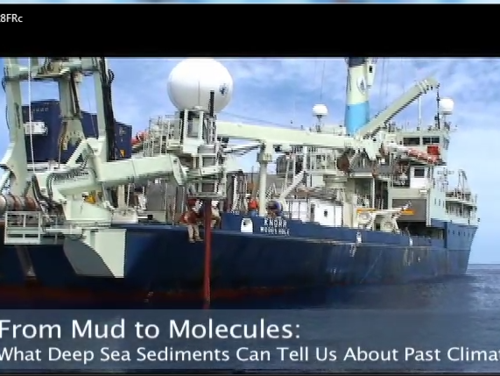 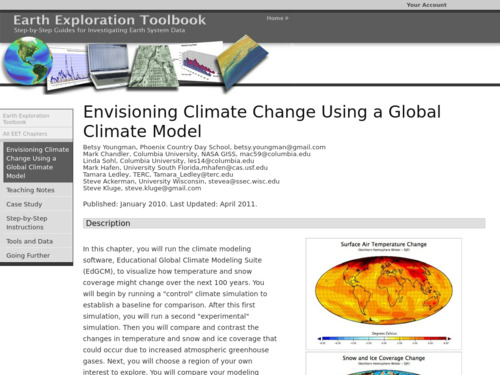 This long classroom activity introduces students to a climate modeling software. 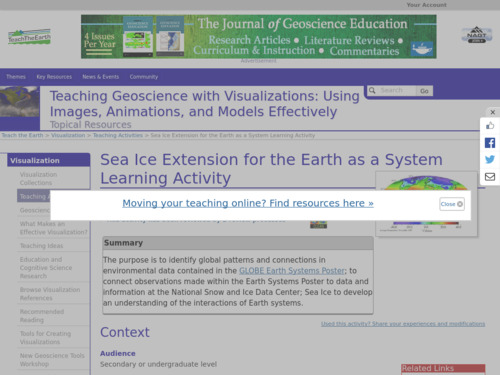 Students visualize how temperature and snow coverage might change over the next 100 years. 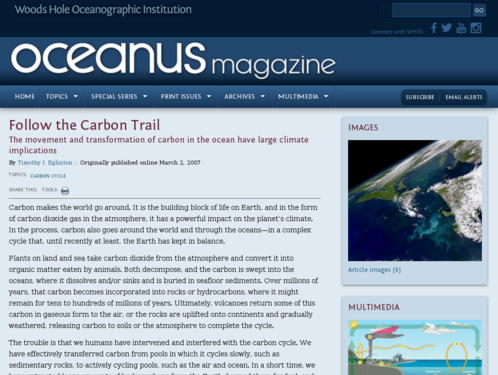 They run a 'climate simulation' to establish a baseline for comparison, do a 'experimental' simulation and compare the results. 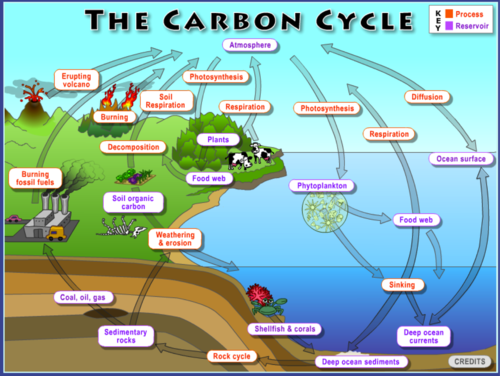 Students will then choose a region of their own interest to explore and compare the results with those documented in the IPCC impact reports. 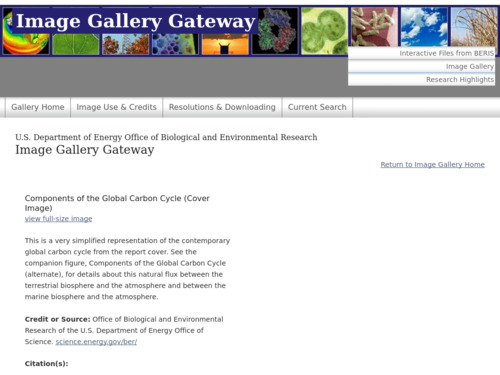 Students will gain a greater understanding and appreciation of the process and power of climate modeling.